I sincerely hope that the preceding two pages on the second law of thermodynamics and the three most influential additional challenges to renewable energy generation have convinced you that it is simply not possible for the world to continue along the perpetual upwards energy usage trend showed in virtually every energy forecast out there. The figure shown below is a good summary of the options available to us. And yes, the “techno-fantasy” scenario is very aptly named. Indeed, the scenario that we have to aim for is green-tech stability and, if we find that we cannot manage that, we will have to opt for the creative descent. However, if we do this right, the green-tech stability scenario is certainly a realistic possibility which can still ensure a very high quality of life for billions of people. For this to happen though, the billion richest people (who currently consume about two thirds of global resources) will have to reduce their energy consumption significantly in order to share our dwindling energy supplies with the remaining 6 billion (and counting). This might not sound like a very appealing prospect, but the thing you have to realize immediately is that decreased energy consumption definitely does not mean a decreased standard of living. 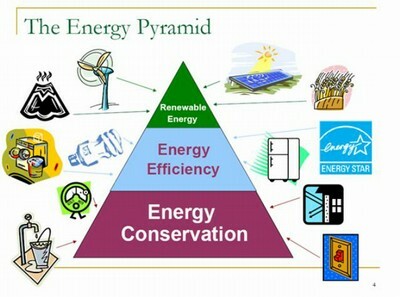 Indeed, the job of the richest billion people is to use their financially superior position to make the vital green technology investments required to decrease their own energy consumption and even become energy independent without compromising their own health, wealth and happiness at all. The logic behind this is very simple: the threats posed by energy scarcity will not impact the richest billion through increased energy prices, but rather through the massive social unrest that such energy price hikes will cause among the remaining 6 billion. 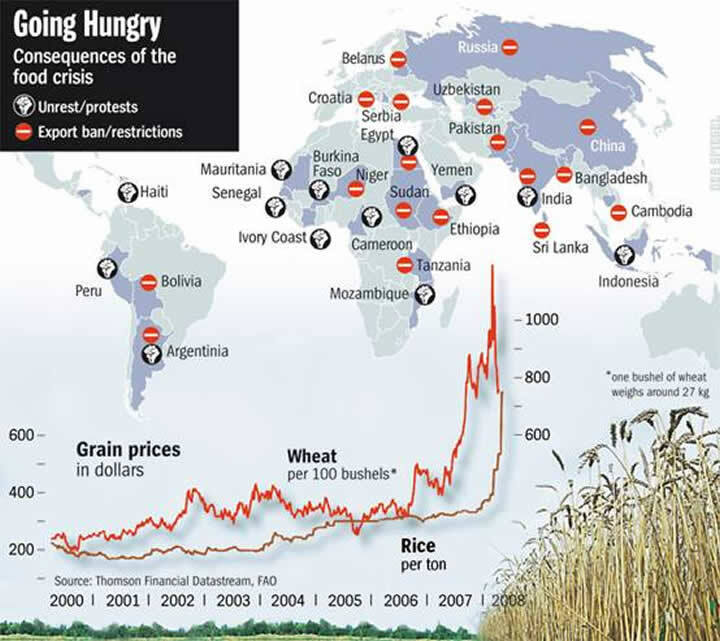 The richest billion individuals will easily be able to handle a doubling or tripling in the energy price through a little bit of belt tightening, but many of the remaining 6 billion people will be left fighting for their very survival, primarily due to skyrocketing food prices. And yes, desperate people do desperate things. 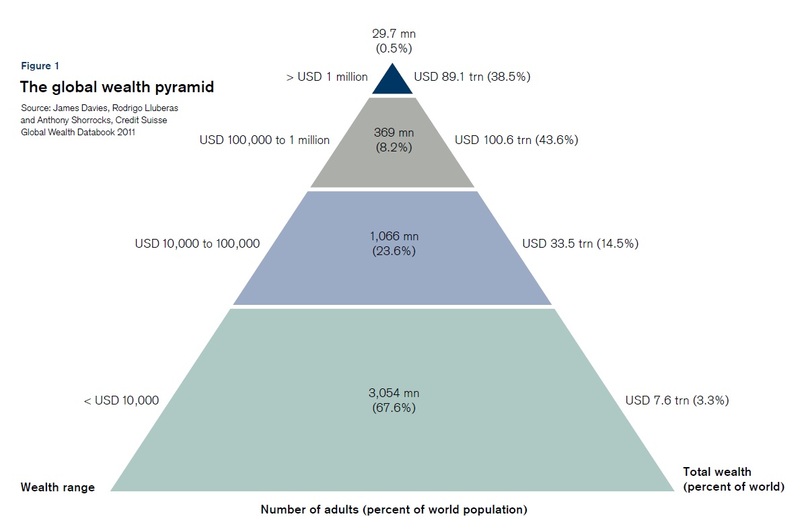 Consider that the richest billion individuals control almost 90% of global wealth. Just think about this statistic for a while. It truly is astounding. But remember; with this great wealth comes great responsibility – the responsibility to steer our global society towards a sustainable energy future. And yes, in keeping with the theme on this blog, this can only be done through individual action. If we blindly rely on government to take care of everything, solutions will be implemented with typical woeful public sector inefficiency, energy prices will rise disproportionately for everybody and we will see massive social instability. On the other hand, if we take responsibility and start using our vastly superior wealth to work towards complete energy independence, the resulting drop in demand for centralized energy might even cause energy costs to poorer people to reduce and leave government to do what they do best – nothing. 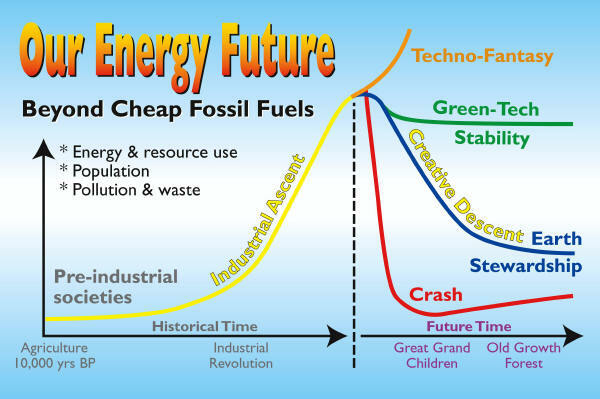 This, I think, is the one and only way in which we can achieve the green-tech stability scenario. Firstly, we can greatly increase the efficiency with which we concentrate energy by actually respecting the second law of thermodynamics discussed earlier. 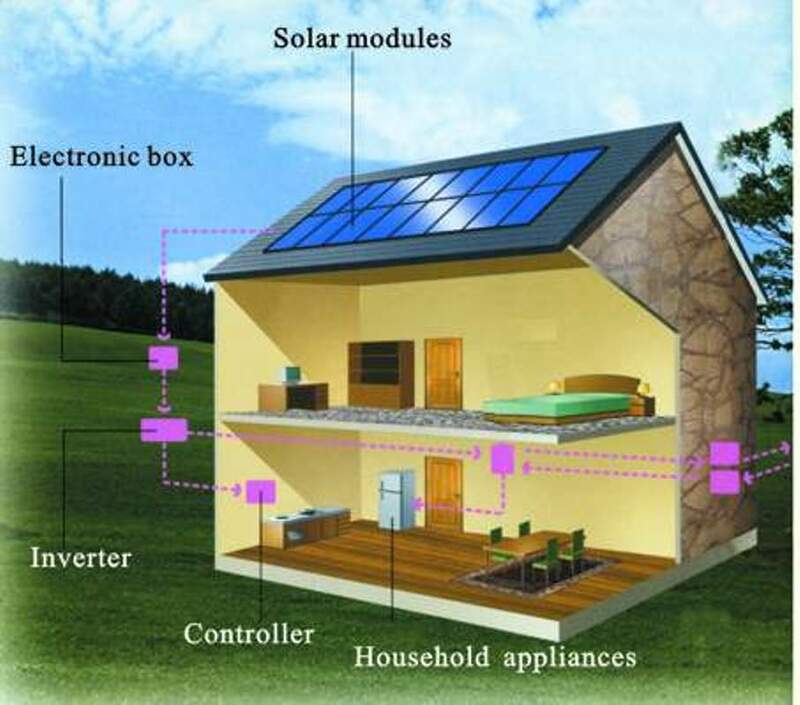 For example; generating electricity from the sun at 3% efficiency using a very expensive solar thermal power station and then again diffusing out this highly concentrated energy to heat our homes/geysers by electric heaters is more than 10 times less efficient than using a much cheaper and simpler home solar water or space heater to achieve the same outcome. The reason for this is that losses in efficiency increase with the degree to which energy is concentrated. 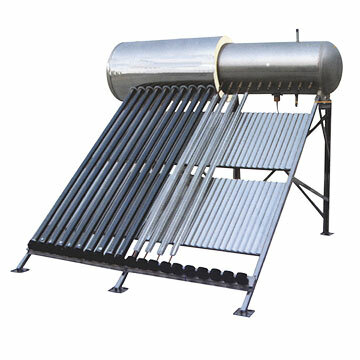 Heating water to 50°C or a room to 20°C only requires very modest increases in solar energy concentration, while heating steam to temperatures sufficiently high to generate electricity requires massive degrees of energy concentration – hence the enormous difference in efficiency. Secondly, reductions in energy consumption can easily be achieved through simple means such as proper home insulation, highly energy-efficient lighting and home appliances and a general scale down in our mindless consumption patterns. Anecdotal evidence throughout the world (as well as plain old common sense) has shown that smaller houses, smaller and fewer cars, fewer electronic gadgets and a balanced, plant-based diet can add tremendously to health, financial security, life satisfaction and longevity. And yes, in addition to all of these great gains, you can also easily slice your energy consumption in half. It really is as simple as that: sustainable living is synonymous to happy, healthy and wealthy living. Finally, we come to the point of micro-generation. This is the most challenging point because, in the absence of large government subsidies, it does require some degree of financial sacrifice (while the two previous points will actually save you money). When seen in the greater scheme of things, however, this sacrifice really is quite minor and none of us rich folks have any legitimate excuse for continued inaction. The fact is that technology is already available through which one can become completely energy-independent. Such a system consists of a few solar panels and/or micro wind turbines, a sizeable battery pack for storing electricity and an electric car. Granted, these things require a substantial investment of money and time, but they can make you completely energy independent already today. 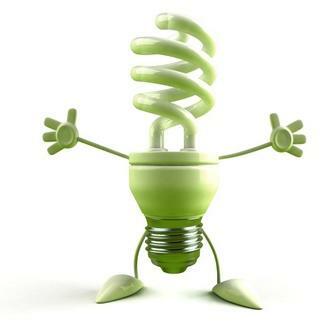 Not only is energy independence the single best thing that you can possibly do for the human race, it also provides you with a potentially invaluable layer of insulation against coming energy disruptions. In short therefore, the richest billion have the potential to easily steer society into the green-tech stability scenario of truly sustainable prosperity. This is not only possible, it is theoretically very easy. Literally the only thing that needs to be done is to transform the current social mindset of consumerism and entitlement to one of contribution and personal responsibility. But yes, making this crucial mindset-shift happen will unfortunately be very difficult. The next two fundamental laws to be discussed will elaborate further on this point. Please move on to the next page. I think creative descent or collapse remain most likely – simply because our politicians have been hypnotised by the fossil fuel lobby propaganda machine (that make them do things like publish the UK’s new Energy Bill and allow the USA’s Keystone XL Pipeline) despite saying they are concerned about climate change. Thanks for all your contributions to discussion on my recent posts. Your exchanges with Gillian King have been particularly helpful. No problem. This discussion has been very interesting for me also. We really have to do our very best to strike the right balance between positivity and realism regarding our energy future.